In our house there is a loft on the second floor where you can look down onto the floor below. On laundry day, we love to throw the dirty clothes from the second floor into the basket below. And Adam loves to ham it up. 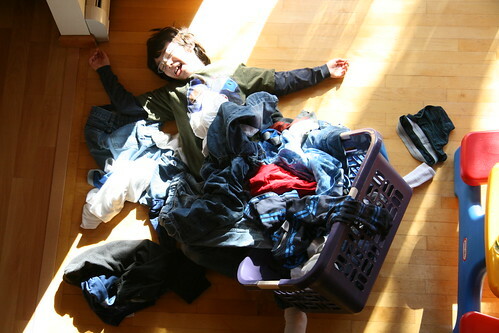 Here he is acting out "death by laundry".